Once you've tested your GPS, its time to add the Arduino back in and show how to read and parse data. This step will verify you have both parts working togther. 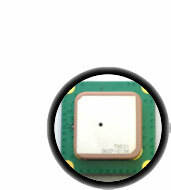 TX should connect to pin 2, RX connects to pin 3 and PWR connects to pin 4. We're going to use software serial to communcate with the GPS. 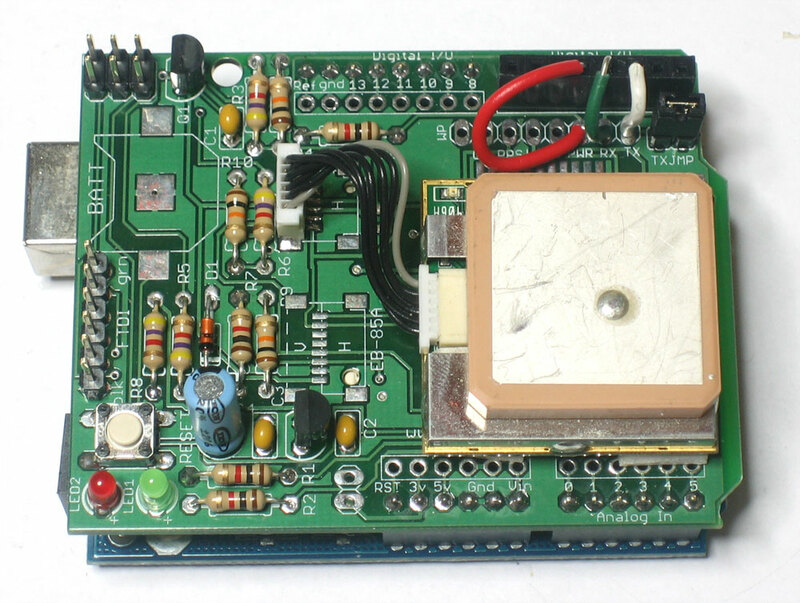 If you have an NG with a ATmega8 chip, you can use the SoftwareSerial library. Download the GPStest_RMC sketch from the download page and upload it to the Arduino. This time, when the GPS module gets a fix, it will parse out the data and display it in slightly more useful format. If you're planning to make locative projects that don't log to the SD card you can stop now. This sketch can provide the backbone of most locative art projects!